After her graduation last year, former Kamen Rider Girl Den-O member Erika Yoshizumi has announced that she will continue her career as a voice actress. Erika has recently signed a contract with her new agency, Object Inc. where she will be working as a voice actress in a mobile RPG game entitled "Valiant Knights" in which she will portray a character named Nina. After graduating in 2016, she appeared in various game related online shows where she works under the name Mio Yoshizumi. 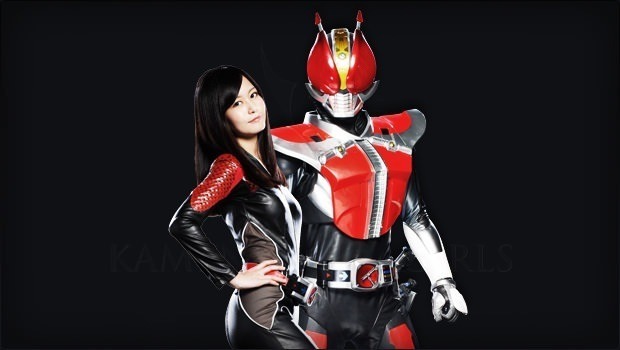 Here's wishing that she will also enter the tokusatsu industry as one of it's soon-to-be beloved voice actress. If not toku, I hope she voice-acts for a Gundam series, considering, AFAIK, she's a Gundam fan too.